When she's not creating fiction or designs, she's writing technical and business processes for new customers and products. It's not poetry in motion but it's a day job to earn the dollars. Like most people on this planet, and Misha Collins, she can be found at Twitter with handle @veronicapurcell. 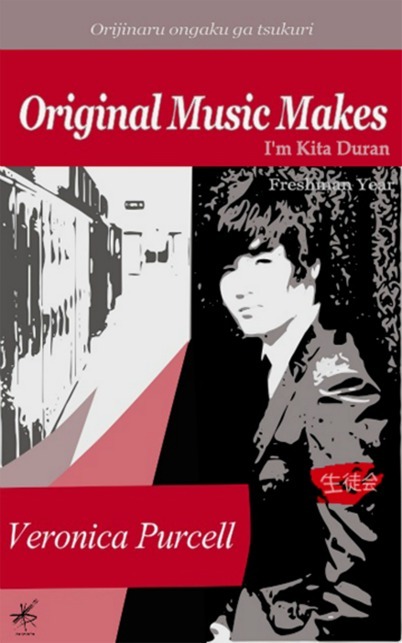 Original Music Makes is a web fiction series centered on Duran Kita who is a Japanese private high school student. He struggles against a stringent school system to run a music club. His first day at school starts off with a science experiment gone wrong that affects the entire student body. Enter the funniest mishap written in any language, where love becomes an open sport. Along the way, we discover a naked truth about Duran, a past he is running from and how he became a ghost busting hero. Fans of Japanese light novels, shoujo and boys love manga can expect a treat filled with comedy, cats, romance, friendship and dramas. Most of all - music.